Budget is an important factor to consider, whether shopping for a gift or a treat for yourself. 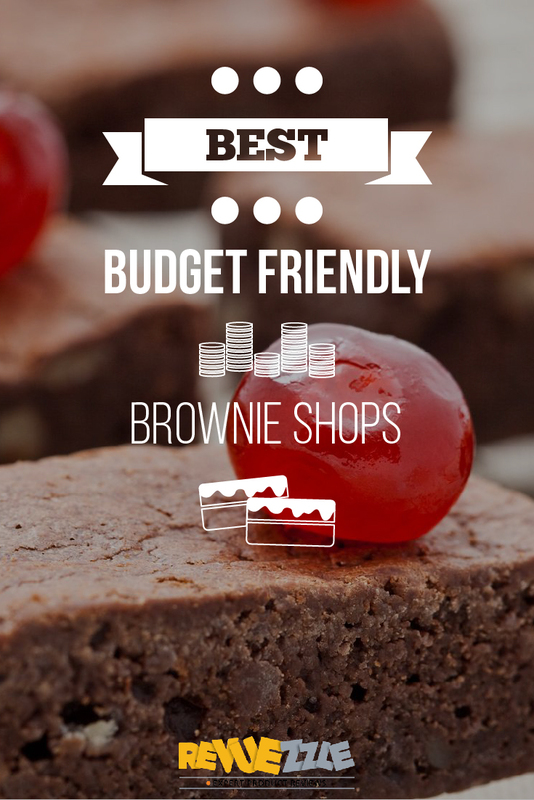 We selected the brownies included in our Best Budget-Friendly Brownies list based off the prices and purchasing options available at each bakery. 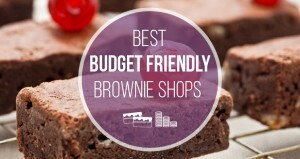 All of the vendors included in this list have their brownies available for individual purchase, as well as in smaller quantities so that even those watching their money can indulge in these little delights. We love a gourmet vendor with something for every budget and price point—and Brownie Points is definitely one of the best where this comes into play. With gift baskets, boxes and towers in every price range, Brownie Points is a destination for gifts, even for those on the tightest budgets. Their festive gift sets start at $13.00 for an adorable boxed set of six baby-sized brownies and top off at $212.00, with their deluxe and decadent Double Trouble Basket, perfect for those looking to splurge. 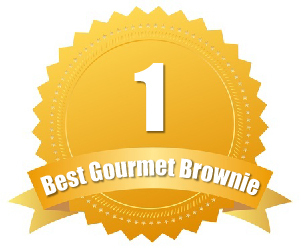 Brownie Points also offers their gourmet brownies for individual purchase, starting as low as $1.25 for a baby-sized brownie. Brownie Points prices range from $1.25 to $212.00 with something for every price point in the middle. Their shipping varies, depending on the purchase total, averaging about $9.95 for purchases below $53.00. Don’t want to spend money on gift-wrapping? Good news! All of Brownie Points’ assortments are beautifully packaged, and can even be customized for specific life events—all free of charge. 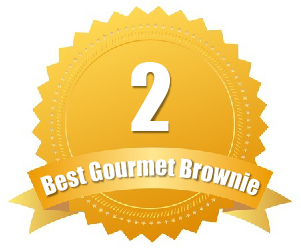 Premium gift sets from the Brownie Gourmet are available in every size and budget, with their Perfect Pair of two gourmet brownies starting as low as $13.99. They also offer their brownies for individual purchase with the petite-size starting $2.00 and their classic-size for $4.00. Although the smaller sizes and individual brownies are perfect for those with only a little to spend, when bought by the dozen, customer’s save on the per-brownie-cost. For instance, a classic dozen can be purchased for $45.00, saving you $3.00, and a premium dozen priced at $48.00 will save you $6.00—something you may want to take into consideration when making your selection. Just because you are on a budget, doesn’t mean you can’t indulge. With individual brownies ranging from $2.00 to $4.50, and gift sets starting as low as $13.00, the Brownie Gourmet has you covered. Want to specify what goes into your assortment? 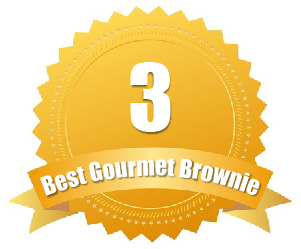 The Brownie Gourmet allows you to customize your order to include the flavors you prefer. This small-town bakery keeps it real, by offering gourmet gifts and goodies for budget shoppers. Their delicious brownies are available for individual purchase, starting at $4.00 for a beautifully-packaged single brownie. This bakeshop also sells two and three packs of their gourmet treats for $8.00 and $12.00, making an affordable but attractive gift option. Vermont Brownie also offers larger assortments in sets of 12, 24, 36 and 72, which start as low as $39.50 for a 12-pack of gourmet brownies. Shipping from Vermont Brownie is based off the total purchase amount, and is an average of $9.99 for purchases under $49.99. Individual brownies from this vendor start at $4.00, while gift sets range from $39.50 to $236.00. Looking for a gift that keeps on giving year round? Check out Vermont Brownies’ delightful brownie gift club options—available in variety of price ranges. If you have a specific price range in mind, Sugardaddy’s Sumptuous Sweeties’ easy-to-use website, that allows customers to shop by price, will work well for you. 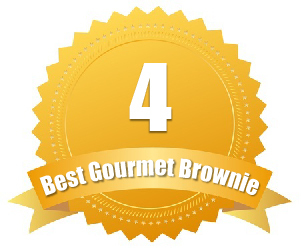 All of this bakery’s gourmet brownies are available for individual purchase—starting at $4.75, which is slightly higher than other bakeries, but still a good value for the high-quality product. Sugardaddy’s also offers a wide variety of assortments and gift sets that are available in smaller quantities, meaning lower prices. Their gift boxes start as low as $27.00 for their Brownie Biscotti & Coffee Gift Set. Their elegantly-packaged silk bag towers, have an individual option for $9.50. This bakery’s one-of-a-kind brownie truffles are available in a favor-size set of three, starting at $5.25, and their brownie biscotti starts as low as $6.50 for a five-pack. As you can see, this bakery offers many gourmet gifts for those on a budget. Their gift boxes range from $27.00 to $90.00 while their beautifully-packaged silk towers range from $9.50 to $49.50. Shopping for an adventurous eater? Be sure to try their Fiery Brunette—a gourmet brownie crafted from chocolate, spicy chipotle and cinnamon! All of Blissful Brownies reasonably priced brownies and gourmet gift sets will work for those on a budget. Starting at $25.00 for a six-piece set of their 2.5-ounce brownies and topping off at $55.00 for twelve-piece set including up to three flavors—none of their festive gift sets top out over $60.00. They also offer two fun brownie cakes for special events, which are $20.00 for the three-inch version and $37.00 for the larger eight-inch option. This bakery also has their super-decadent five-ounce brownies available for individual purchase, starting at $5.00—not a bad price for a treat that large. This vendor offers two flat-rate shipping prices: $8.95 for smaller items and $12.95 for larger purchases. Looking for a fun holiday treat? Blissful Brownies’ peppermint candy brownie adds a festive twist to their original recipe.